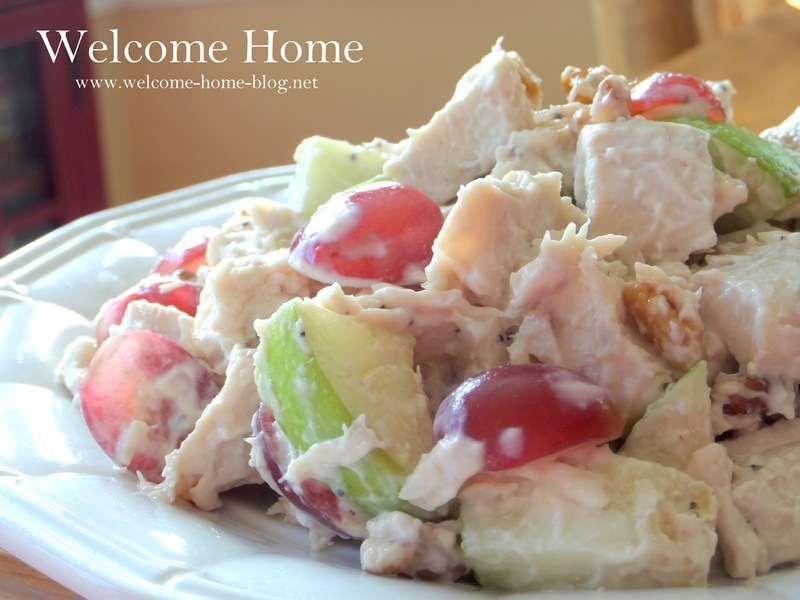 Tender chunks of chicken with granny smith apples, grapes, celery and walnuts to give it the perfect crunch. Served on crisp buttery club crackers. So good this way but I made enough for later this week to serve on a nice soft buttery croissant or Kaiser roll. 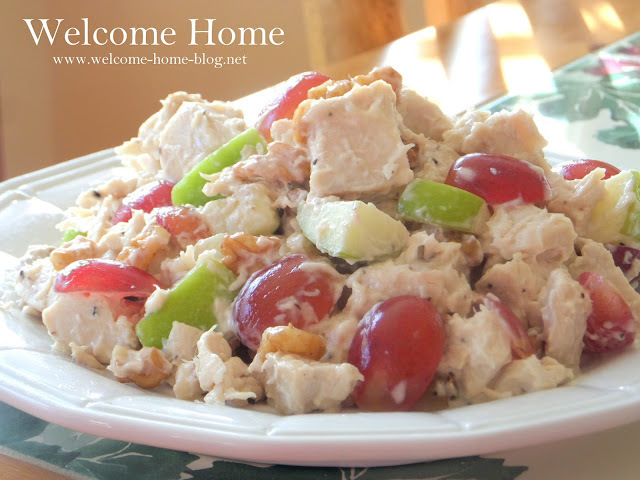 I love this salad and it's so easy to make. Lightly toss chicken with grape halves, apple, celery and walnuts in a salad bowl. Whisk mayonnaise, vanilla yogurt, and lemon juice in a separate bowl. Pour dressing over salad and toss again to coat. Salt and pepper to taste. I also used pecans instead of walnuts, I added a vadelia onion chopped and green seedless grapes and just a sprinkle of cinnamon.